Such a gorgeous card Pat. I love the sweet image and some of my favourite papers. Aww, the sweetest image! Love the blues & the fab layout too! Oh my word Pat this is a little beauty I adore that image also the wonderful design and colours, ACE card. Just beautiful! Those tree little angels are just darling! LOTV has the sweetest images and you have done a grand job with these cuties. The blue background looks as if it has snow falling - pretty! 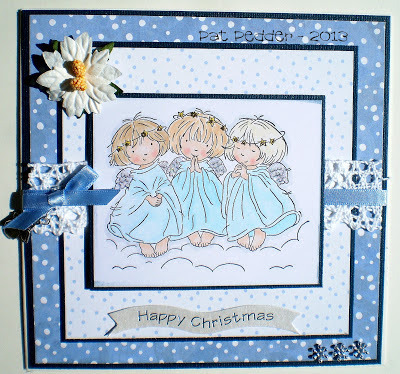 Such a sweet image and a lovely card Pat. Sorry I am so very late getting here Pat, but what a pretty Christmas card this is. Thanks for joining in at Pretty Little Ribbons challenge - our theme is Blue at Allsorts this week.. Such a precious, festive card! 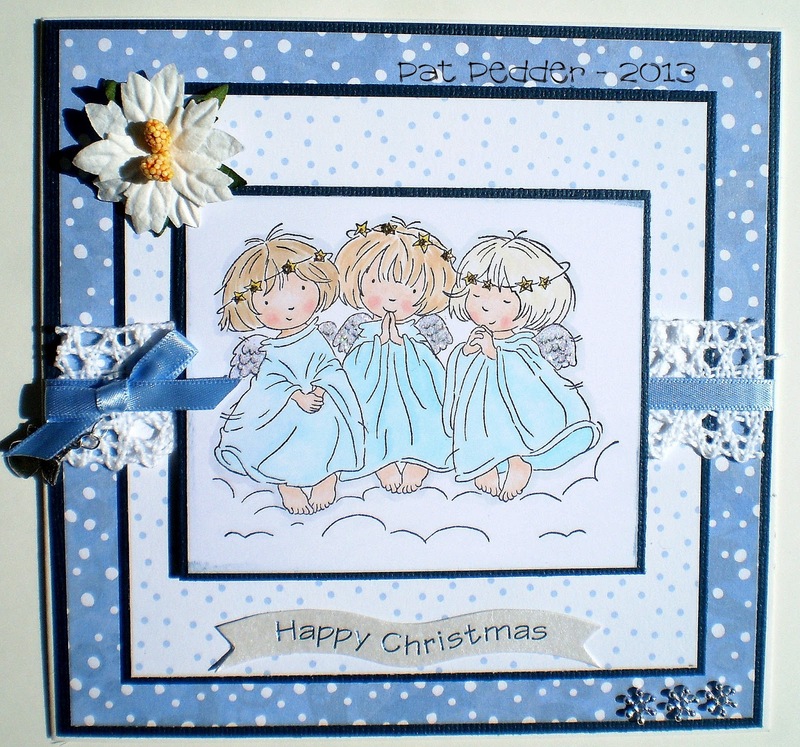 Love the trio of sweet angels which are beautifully colored. Lovely design and details. Super sweet card, love the image! Thank you so much for joining us at the Sarah Hurley challenge Blog!! Love the non traditional colors that were used for this card. Great layout. Really cute card hun, great image & colours. I love the lace with the ribbon!